This niche in the entryway of an older Point Loma home was facing the front door, and should be designed to welcome visitors and set the tone for the house design. 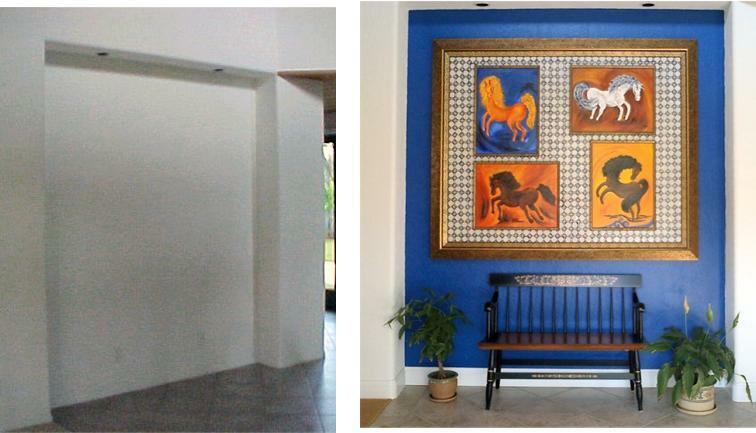 The owner had some paintings of her favorite horses, which I had duplicated in tile down in Mexico. With a bright accent color, the creative tile work, and a Mexican wood bench, the entry was transformed into an attractive eye-catching entry statement for the home.